paytm comes with another cashback offer.this time it is contest time try ur luck.do a recharge of 100 or more with paytm every 10th user get 100%cashback.you can check other posts for paytm latest promocodes 2015. 2) Code can be used upto 5 times per user. 3) A number can be recharged only 5 times using this campaign. 4)Cashback will be credited within 24 hours of the transaction into user’s Paytm Wallet. 7) Valid till 7th October. 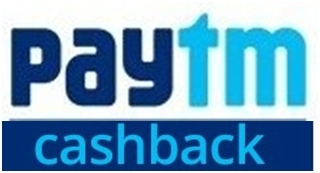 Offer2 : Get 10% Cashback on Bus ticket bookings. Condition: No Minimum order value . One promo code can be used 5 times by user.